The patented Aardwolf Lifter is an accessory for lifting and moving slab-form loads. 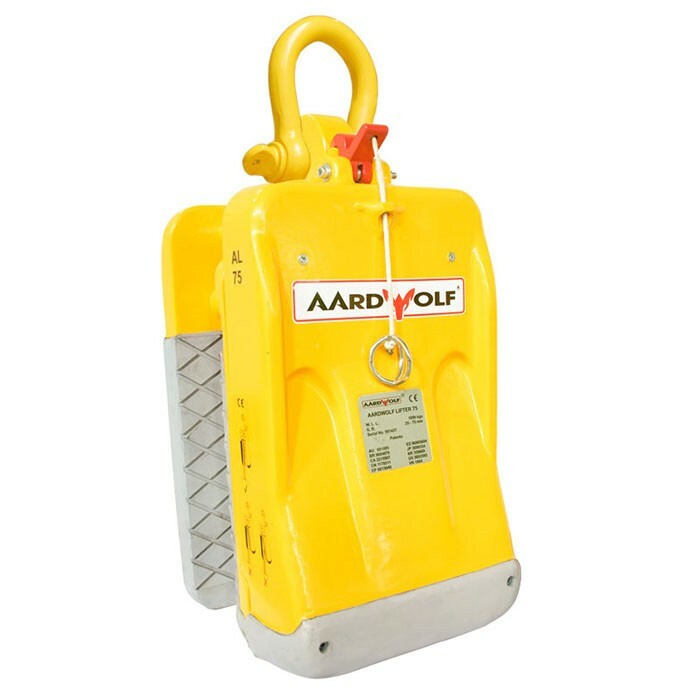 The Aardwolf Lifters incorporate a spring-loaded latch that automatically releases the lifter from the slab once the slab has been fully lowered to the ground. This makes the process of lifting and lowering of slabs a one-man operation.